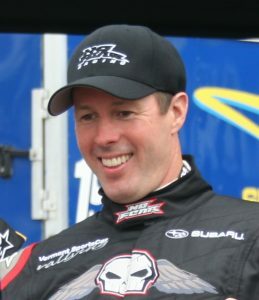 Colin McRae, MBE, youngest ever World Rally Champion and winner of 25 career victories, was tragically killed 10 years ago in a helicopter accident. It’s hard to believe that it’s a landmark 10 years ago today, September 15th, that one of Britain’s best-loved rally drivers, Colin McRae, was tragically killed in a helicopter crash which also claimed the lives of his 5-year old son, Johnny, and two family friends near his home in Lanarkshire. At the age of 39, McRae’s loss was horrendous on so many levels; to his family, his fans and the many people whose lives he touched. One of the highlights of my journalistic career was interviewing the 1995 World Rally Champion in July 2002. McRae was in Ireland competing in the Punchestown World Rally Experience and I was one of the lucky few journos given access to interview him that weekend. McRae arrived in Dublin on the back of his 25th – and last – world rally victory on the Safari event in Kenya in the Ford Focus WRC, and he was very relaxed. Colin had always appeared quite serious to me but during the interview, which I will treasure forever, I found Colin to be very funny, quite charming and not at all what I expected. At the time, I was also becoming recognised in Ireland as a sports mind coach, particularly with rally and racing drivers and many of them were getting some impressive results. Although the interview I did with McRae was fairly generalised and was for an Irish magazine, Autowoman, I was very interested in how his mind ticked as a driver behind the wheel and some of my questions were geared towards his mental approach, and his totally innate ability to drive fast. There was no suggestion that he’d had any formal sports psychology coaching. McRae replied as follows: “The enjoyment you get out of it is the finish; that’s what you aim for. You work hard for a few days to get a result at the end of it and that’s where you get the enjoyment. “It requires a lot of self-discipline for sure, and it’s something you develop with experience. You have to really concentrate on concentrating, if you like, and it’s not something that comes easily. It depends what else is on your mind. If you have a problem, as soon as it’s happened you have to make a conscious effort to shut it out and concentrate on the job in hand. “If you have some really long sections on a stage, like on the Safari Rally, when you don’t actually have to concentrate that hard and you have to keep the car going along 500-metre long straights, that’s when your concentration can start to wander a bit. “On most events you get information coming at you every second from your co-driver, so that never happens and it’s easier to stay in the flow, but on the Safari Rally there might be half a dozen times when you have a break for 30 seconds or more between being given information. Wise words and good advice from a well-loved and naturally gifted champion we will never forget. Alex Zanardi claims gold and silver medals in Rio 2016! 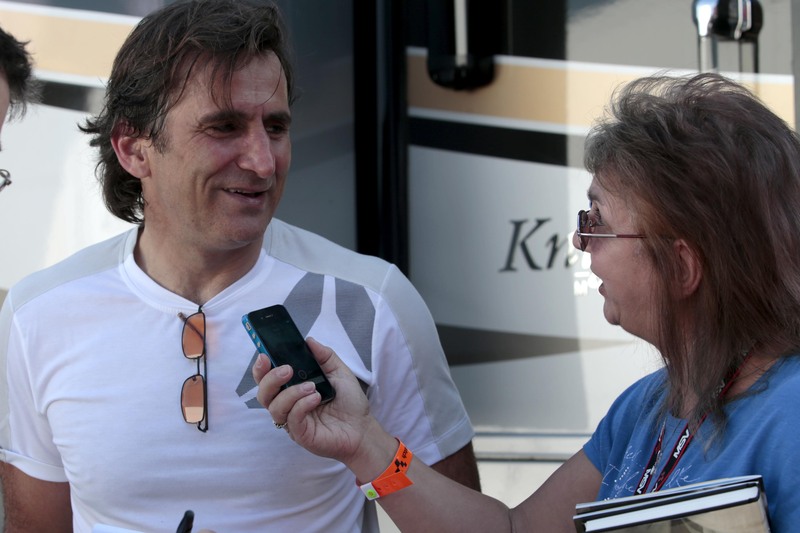 Triple gold paralympic medalist, Alex Zanardi talks to Linda Keen on mental toughness. Exactly 15 years from the horrifying accident at the Lausitzring in Germany which left Alex Zanardi without his legs and barely alive, the amazing and well-loved Italian claimed a fifth Paralympic medal today. His tally from London and Rio leaves the double CART Champion with 3 gold 2 silver medals, an amazing achievement for the racing driver, who turned to paralympic handcycling for London 2012. Read my 2-part interview with Alex Zanardi on his gritty mental toughness… Click on the links below. 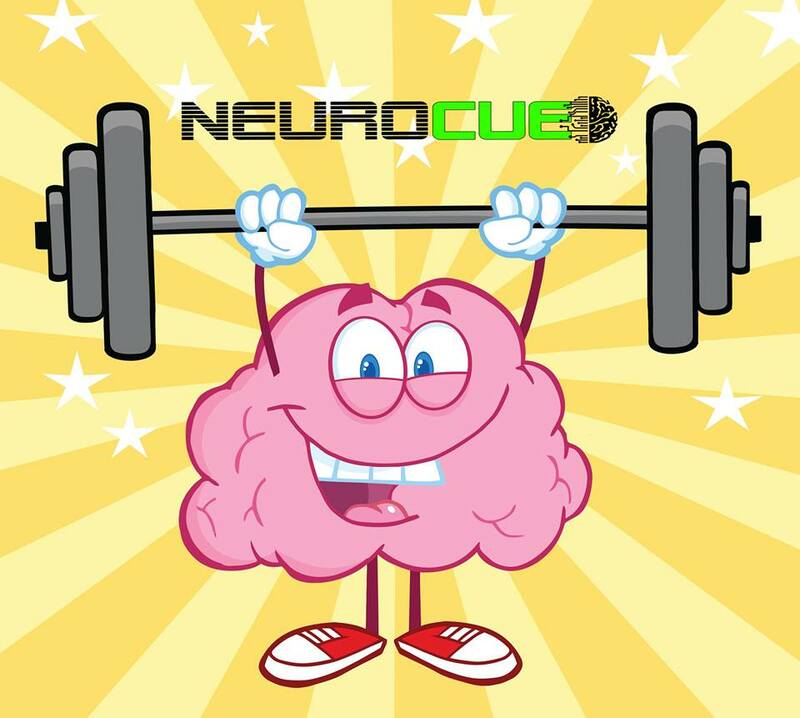 Could the unconscious mind protect a boxer? 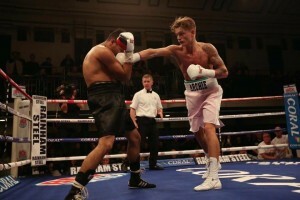 20-year old professional boxer Archie Sharp using the jab in his third bout in York Hall in January 2016. I’m not a massive fan of boxing; but more specifically, professional boxing. It’s probably because I’m quite squeamish and don’t like the sight of blood and invariably during the course of a fight somebody’s gets spilt. Another part of me wonders why someone would want to go and beat another person up and try and hurt them. But as in any sport, I am interested in the mind of a boxer. Not only that, assuming they’re going to do it anyway, I’d rather be working with a boxer to help them win and keep them safe. I watched the Nick Blackwell/Chris Eubank Jnr fight on Channel 5 over the weekend and felt progressively sickened as the rounds went on and no one threw in the towel for Blackwell when he was clearly in a bad way. It seemed his nose was badly broken by round 7 and had been bleeding profusely for several rounds beforehand. Repeated upper cuts throughout the fight caused the swelling above his left eye and the contest should have been stopped in the seventh round, according to neurosurgeon Peter Hamlyn. He was the surgeon who performed five operations in a bid to save the life of Michael Watson in 1991 after the boxer almost succumbed to brain injury in the bout with Chris Eubank Sr.
Of course, kneejerk reaction by the purists will again call for boxing to be banned but frankly there’s more chance of hell freezing over. What is needed is a degree of intuition from the referee, doctors and the coaches themselves. Blackwell’s coach, Gary Lockett, was heard urging his young charge on every time the 25-year old sat down between rounds, but anyone taking a more detached view could see it was all over and had been for some time and Blackwell should have been pulled out and spared further punishment. But I also wonder if anything else could be done and I rather believe it can. As a psychotherapist and sports mind coach, I’ve been working with 20-year old boxer Archie Sharp for the past year. Sharp turned professional at the end of 2015 but when I first met him about two years ago, despite an issue with confidence from his amateur career, I noticed something special about him; it was his ability to pay attention. I knew instantly he’d be ideal to work with and he’s proved me right. He’s already won his first four fights, two of those through technical knock outs. The most recent contest was on Good Friday in York Hall when he stopped his opponent in round 3. Sharp is bright, skillful, quick, committed and he listens. Yes, listening is hugely beneficial to learning and Archie was prepared to listen and pay attention as we worked together. I watched Sharp in action at York Hall in January, when he won his third bout. During the evening, several young pro-boxers were on the card and I was struck then by the lack of care given to some of these youngsters entering the ring. Several of them appeared to me to be there, to all intents and purposes, as cannon fodder for the up-and-coming boxers. A young Lithuanian lad was pulverized into a bloody mess and no one threw in the towel or appeared to give a damn as he continued offering himself up as target practice for the entire four rounds before almost collapsing at the finish. I wondered if the boy had ever put a pair of boxing gloves on before in his life. Many years ago and even quite recently, I’ve been fortunate to work with Tony Quinn, my mentor and the mind guru who helped Irish boxer Steve Collins beat Chris Eubank Snr in 1995. Eubank had been undefeated in 43 previous bouts and was clear favourite to win against the Irishman. But in around four weeks of working with Tony Quinn, Collins developed a mind-set of certainty; certainty that he was going to beat Eubank. And he did, twice, before going on to beat Nigel Benn. This is all documented in Collins’ book, The Celtic Warrior. Tony Quinn’s success with Steve Collins became the model that I have used with all sportsmen and women since I’ve been working in this area for the last 15 years. It’s a very successful model, which can produce fantastic results depending on the individual, But if we bring it specifically into the boxing ring, we can also incorporate safety measures within the boxer’s own mind. Unless you understand how the mind works, particularly the unconscious mind, it may not make a lot of sense but if you try and think outside the box for a minute, it is possible to put in new programmes or suggestions into the unconscious mind from which the person begins to operate. One of the suggestions built into his mental coaching sessions with Tony Quinn was that no one would be hurt in his fights, neither Collins or his opponent. After defeating Eubank the first time, Collins said that he felt physically better straight after the 12-round World Super Middleweight Championship fight than he had felt for months beforehand. 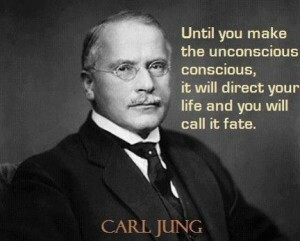 Can the unconscious mind be that powerful? From working with Tony and through my own experience over the years, I would say most certainly yes. I am fortunate to be working with a boxer of the caliber of Archie Sharp and some of the most important work we will do together is ensuring that his unconscious mind protects him and keeps him physically safe in the ring at all times. That way he will never be pushed beyond his limits as was Nick Blackwell on Saturday night.